Managing the farrowing of piglets is a very important task which requires trained personnel. 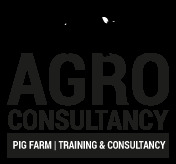 We can help you to get your team at a higher level so that the risk at farrowing are minimized. This will result in a lower death rate. Contact us for the possibilities and together we will look on which ways we can support your pig farm.